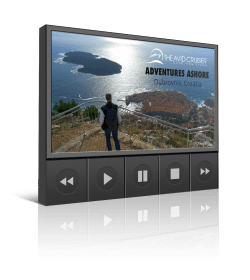 Our Zaandam review has been updated for 2018 to reflect the ship’s current features and amenities. It was originally published in 2009. Colors and soft furnishings may have changed since this review was published. 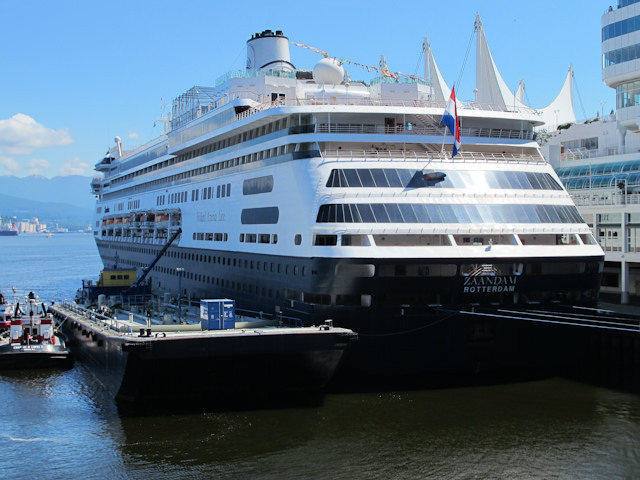 Holland America Line is widely known for its comfortable, midsize ships and attentive onboard service, two distinct features that are alive and well aboard the MS Zaandam. 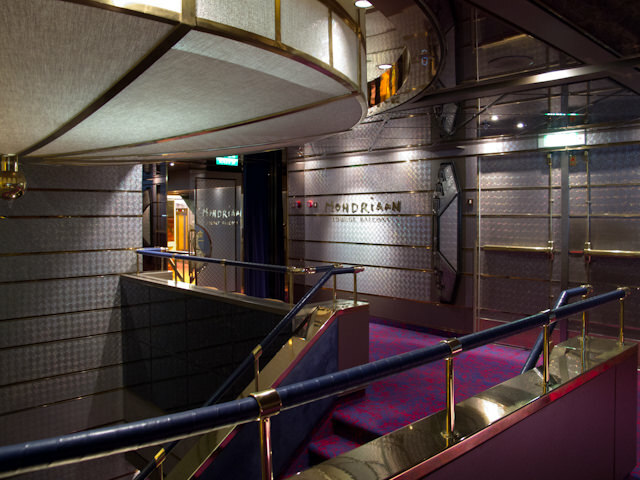 Built in 2000, Zaandam is an evolution of the Statendam-class ships that brought the line so much success in the early 1990s: Statendam, Ryndam (both of which now sail for P&O Australia) Maasdam and Veendam. 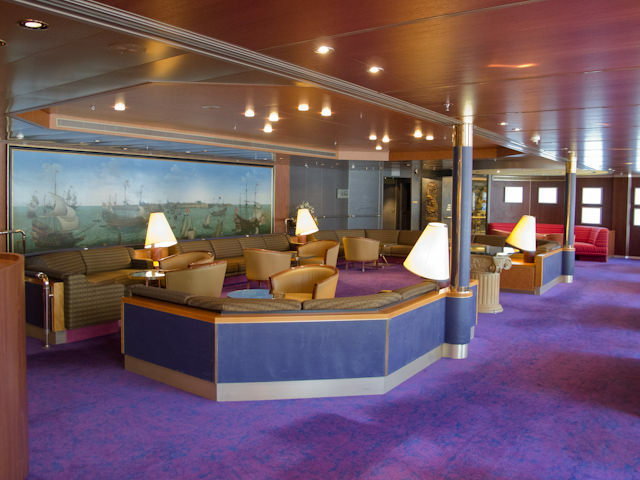 Like those ships, Zaandam boasts the same general interior arrangement and layout, meaning if you’ve sailed with the line previously, you’ll have no difficulty finding your way around. 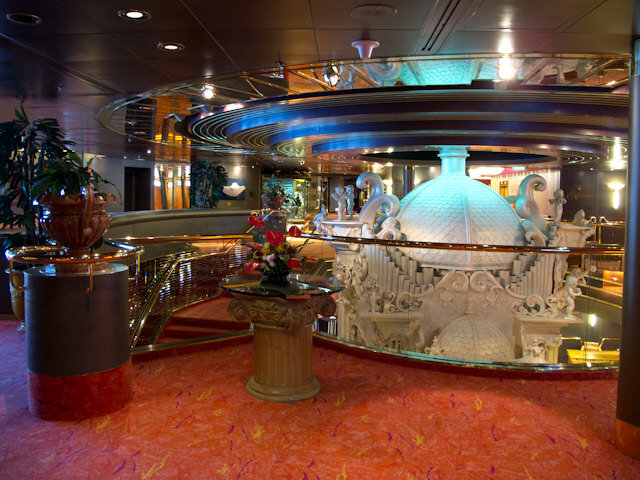 The main, two-story show lounge is located all the way forward, and the double-height dining room is all the way aft. 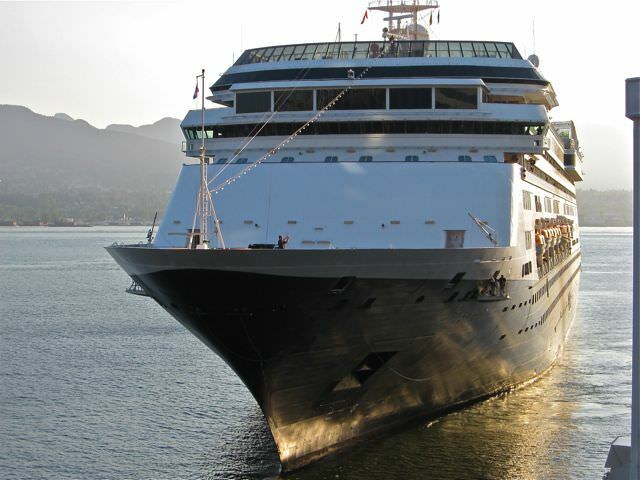 Her sister-ship, Volendam, primarily makes her off-season home in Asia. While Zaandam and her immediate sisters may have the same basic deck plan, the similarities end there. 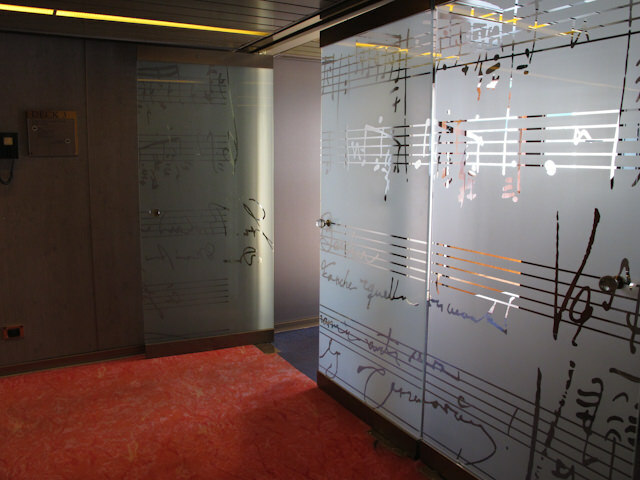 Each Holland America Line ship boasts its own unique identity; a concept that extends from the décor and art collections onboard right down to the color of the carpeting. It’s a refreshing departure from a concept that’s becoming increasingly popular on other lines: Different ships that are virtually identical, both inside and out. 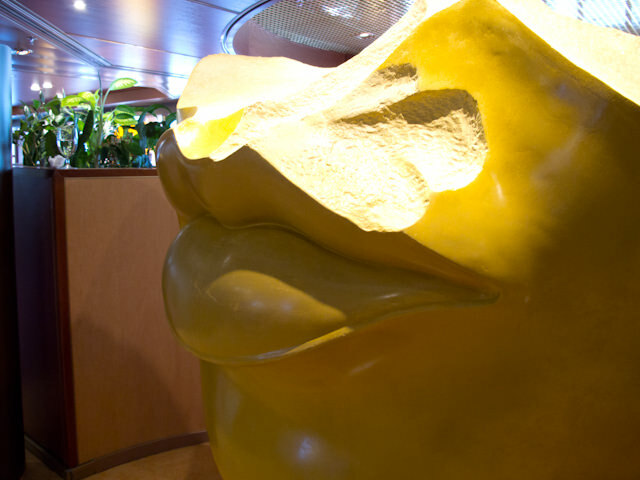 This uniqueness is one of the things that Holland America’s loyal past-passenger base — known as Mariners — love about the line. 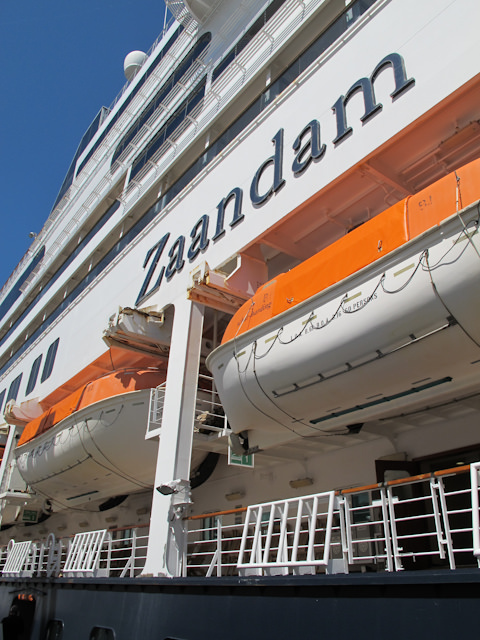 Vibrant and modern but still adhering to tradition, Zaandam is a comfortable midsized ship that offers a great cruising experience. So what does Zaandam have to offer? Let’s walk up the gangway and begin. 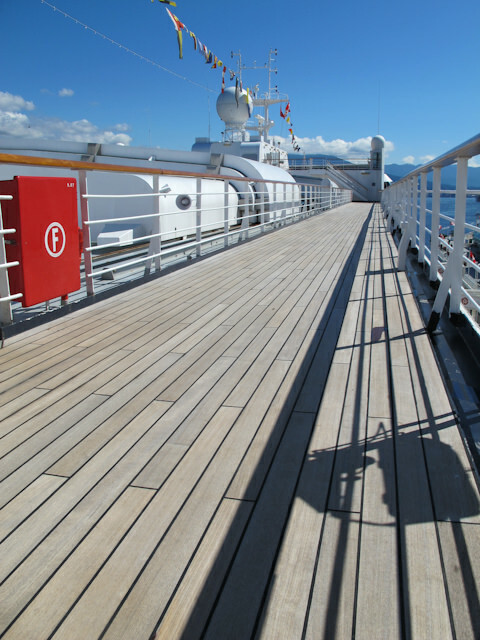 The term “Lower Promenade” is a bit of a misnomer, as the wraparound outdoor promenade deck is located on this deck, along with numerous Oceanview staterooms. 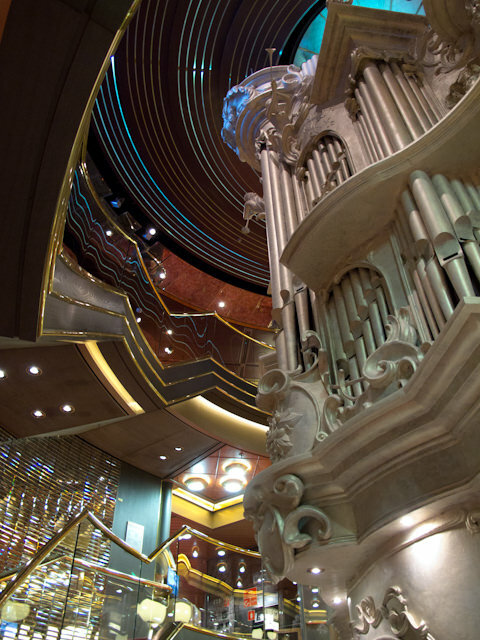 The Lower Promenade deck is also home to the lowest level of the spectacular atrium sculpture: a giant, three-story pipe organ, extending all the way to Deck 5. 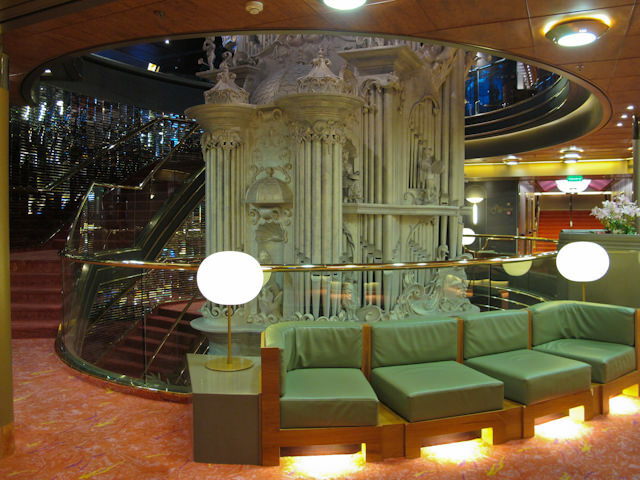 A wraparound staircase is located just to the left of the sculpture, and offices for the Cruise Director and Hotel Manager can be found here, along with the forward staircase and elevator banks. 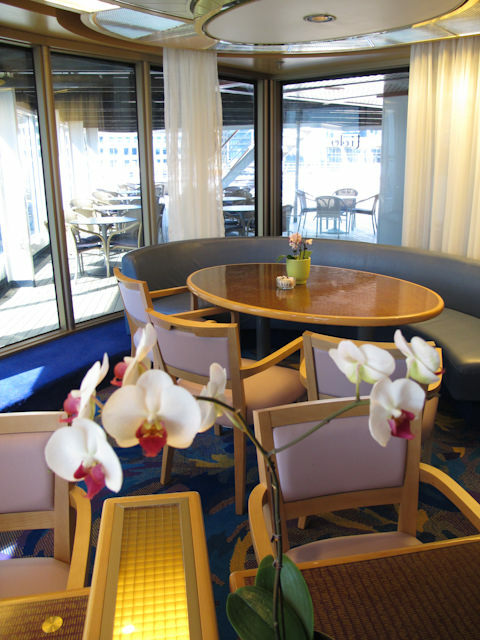 The majority of Zaandam’s public rooms are located on Deck 4 and Deck 5 in a layout that is designed to create numerous smaller, more intimate lounges instead of the more sprawling public areas on other ships. All the way forward on Decks 4 and 5 is the Showroom at Sea. 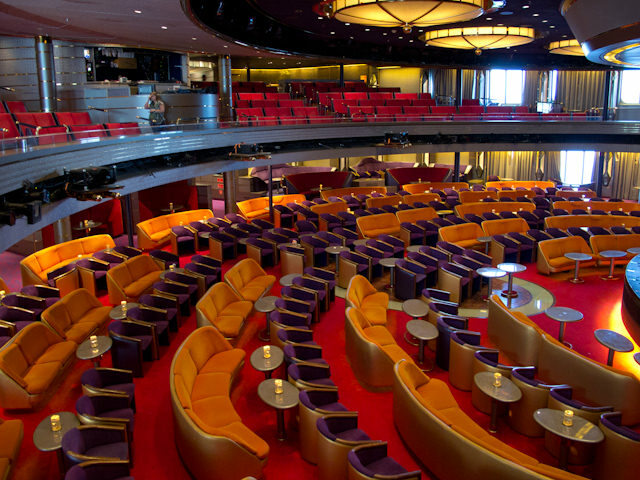 Formerly known as the Mondriaan Lounge, Zaandam’s two-story show lounge is done in futuristic shades of red, purple, yellow and metallic silver, and has theatre-style seating on its upper level and more open, lounge-style seating on the lower level. Several seats near the stage have tables and moveable chairs, making it easy to enjoy a relaxing after-dinner cocktail while you take in the production shows put on by Zaandam’s cast and guest performers. The musical theme prevalent throughout the ship isn’t missing from this room: The light fixtures on the tables all contain different musical instruments within them; a very cool touch. 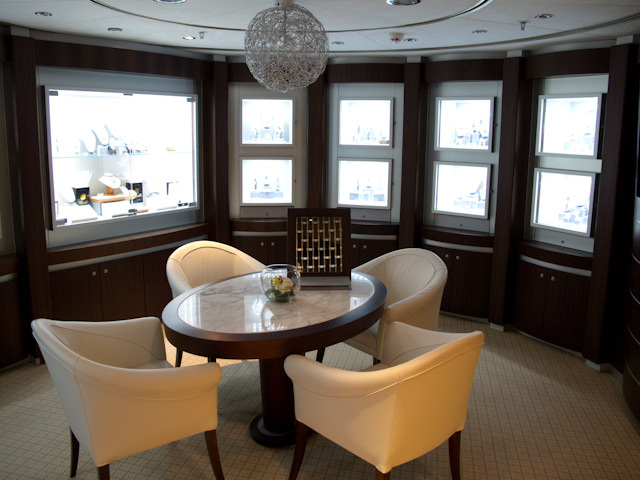 The Showroom at Sea aboard Zaandam can seat 574 guests at a time. 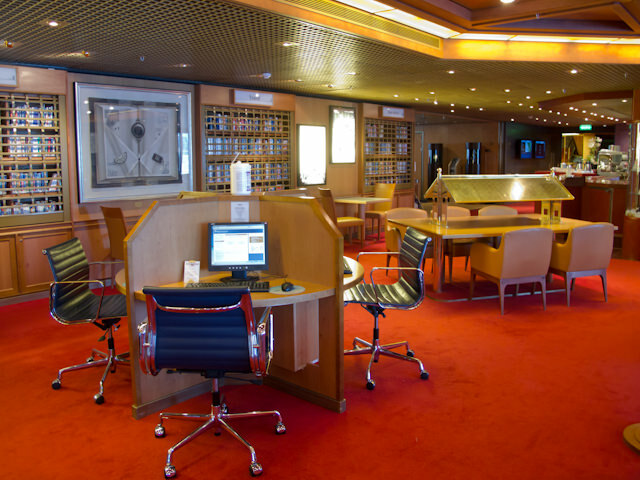 Moving aft from the Mondriaan Lounge are the Front Office and Shore Excursion desks. 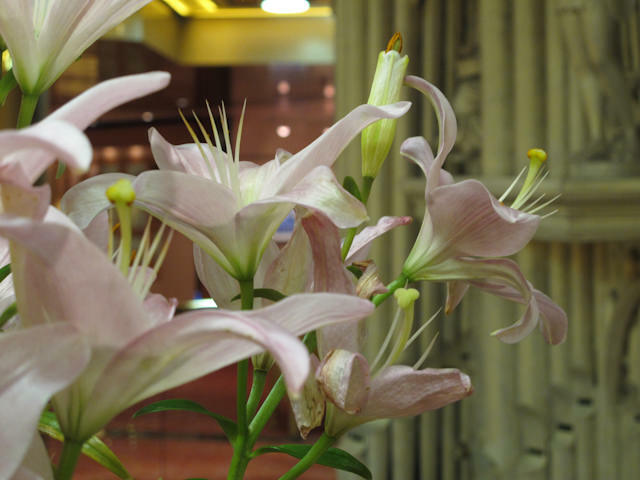 These are located adjacent to the atrium, which once again offers another look at the spectacular organ sculpture. Just a few steps aft of the atrium is the Wine Tasting Bar. Added during the first round of Signature of Excellence enhancements, the Wine Tasting Bar offers up a number of unique vintages to tempt your taste buds. 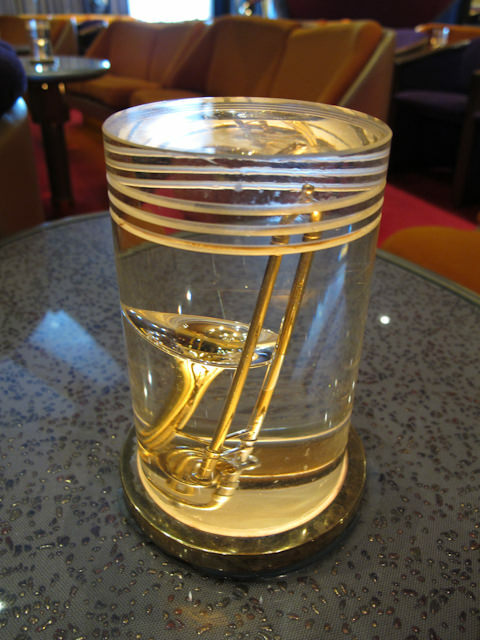 You can purchase wines by the glass, bottle, or as part of one of several wine packages offered onboard. Across the hall – literally – from the Wine Tasting Bar is the Wajang Theatre & Culinary Arts Center. 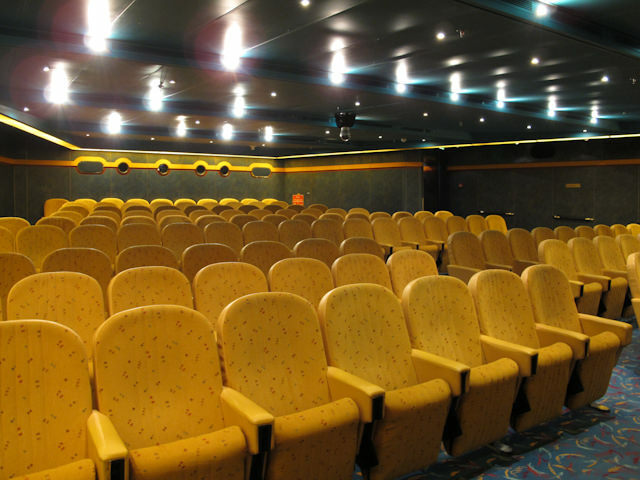 This dual-purpose venue serves as both a screening room where movies are shown onboard, as well as functioning as Holland America’s Culinary Arts Center, which now features America’s Test Kitchen demonstrations and classes. 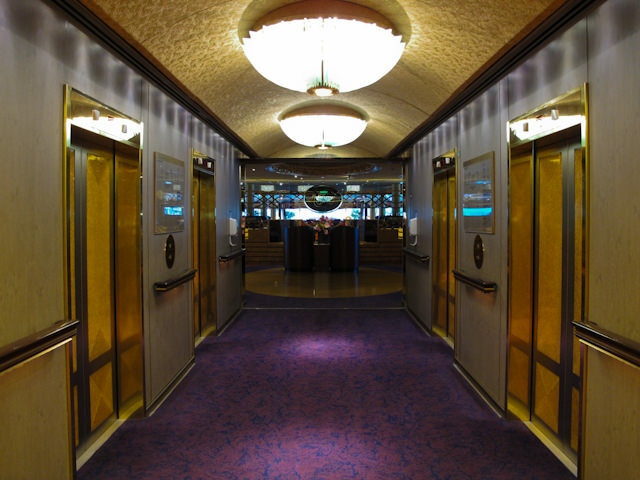 Walking a few more steps aft brings us to the entrance of The Pinnacle Grill – one of the most popular features aboard the Zaandam. 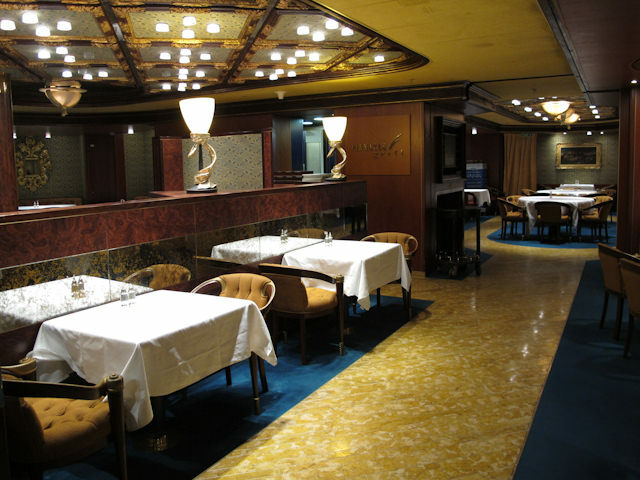 A Holland America staple, the Pinnacle Grill is a specialty restaurant serving up fantastic steak and seafood dishes for lunch and dinner, at an additional per-person charge. Although the room curiously lacks any exterior windows, the atmosphere here is elegant and pleasant nonetheless. 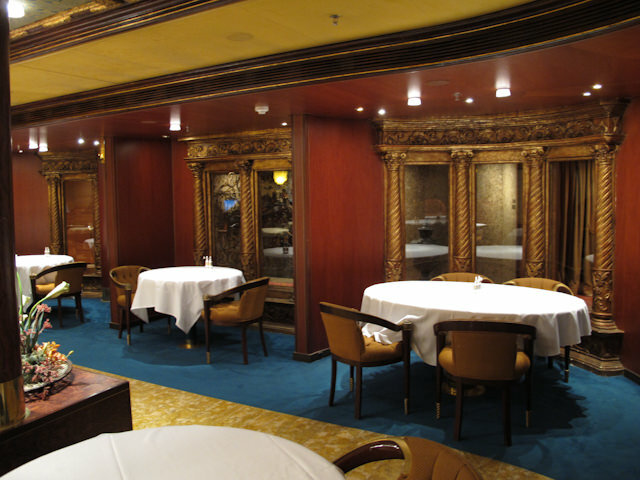 A series of alcove windows do face out onto the corridor, and the gold accents and high-back booths are likely to make people dining her feel like they’re in one of Europe’s finest dining rooms. The Pinnacle Grill can seat 88 people at a time, and it is popular. Be sure to make reservations as soon as you board to secure your spot here. Coming soon to Zaandam is Rudi’s Sel de Mer, an intimate pop-up seafood restaurant designed by Holland America’s culinary master chef, Rudi Sodamin. Rudi’s Sel de Mer has been added to several Holland America Line ships as of early 2018, where it takes over the Pinnacle Grill for just one evening per voyage. Heading aft from the Pinnacle Grill, we come to a small staircase. 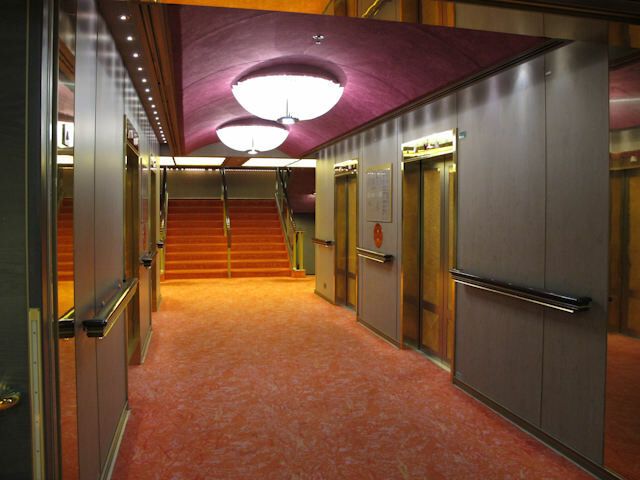 A feature added to Zaandam and Volendam, this hallway dead-ends onboard the Statendam-class ships due to the presence of the galley. 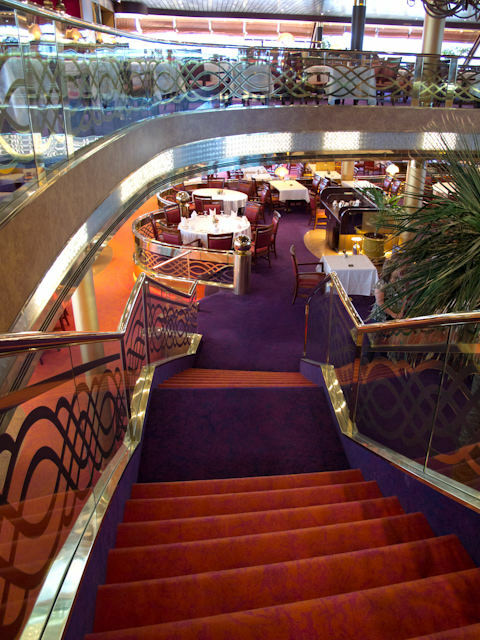 While your journey to the dining room is still halted here, the addition of this small staircase allows you to ascend to Deck 5, where you can enter the Rotterdam Dining Room’s upper level or take the stairs down one deck to the Deck 4 entrance. 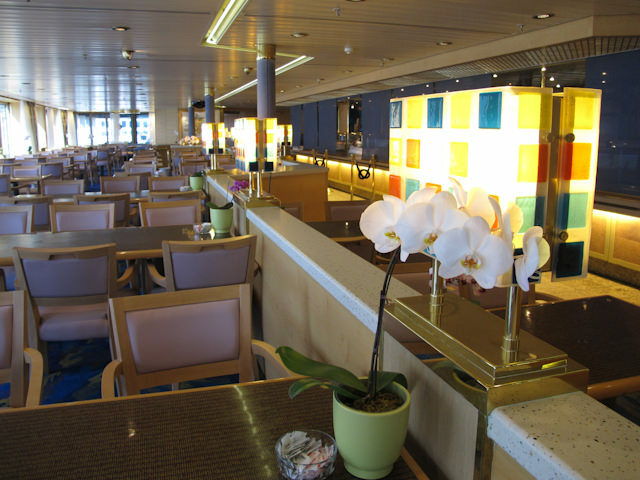 The placement of the galley is the only hiccup on an otherwise smooth layout, but it can cause some confusion, particularly on the first few days of the cruise. Regardless, the Rotterdam Dining Room is spectacular. Windows on all three sides offer up fantastic views of the passing scenery, ensuring your connection with the sea is never lost. 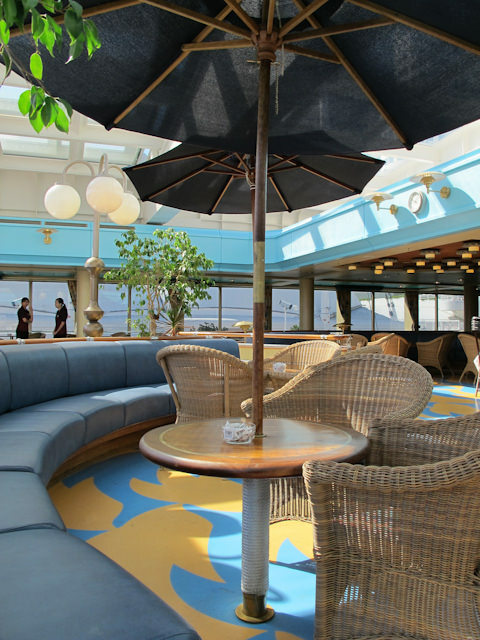 They also serve to let a tremendous amount of natural light into the room, which is why Zaandam’s designers could get away with a darker color palette here than on the rest of the ship. 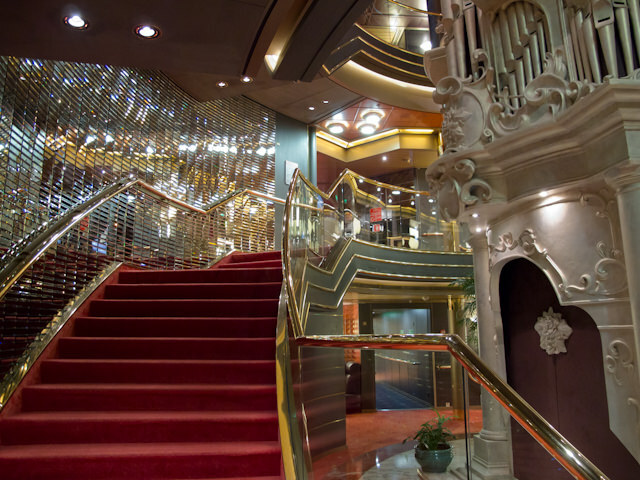 Two sweeping staircases flank either side of the atrium space in the middle, and a piano is located on the Deck 5 balcony, allowing the soothing sounds to trickle down to guests no matter where they are. 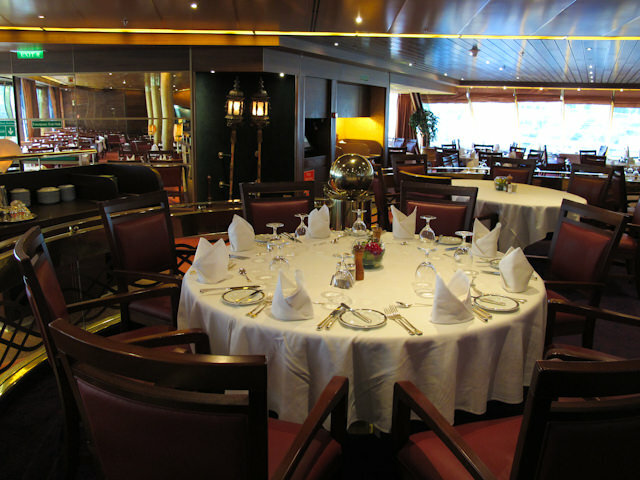 The other great thing about the dining room is there really is no bad table here; nearly every table is situated next to or close to windows, and the tables next to the glass railing on Deck 5 afford some great views of the room below. 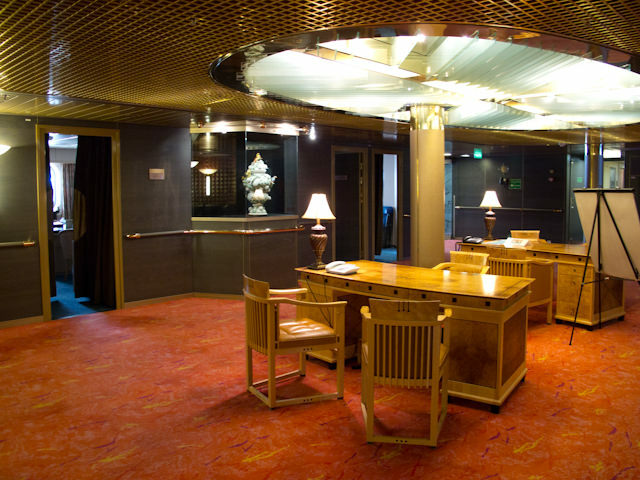 A total of 792 guests can be seated here at once, and Holland America offers both traditional, fixed early-and-late seatings as well as My Time Dining, allowing guests to choose when and with whom they wish to dine. On your way out of the dining room, don’t forget to stop by the “Yum-Yum Man”: a gentleman offering up soft mints or pieces of ginger to diners on their way out. It’s another nice little touch passengers have come to appreciate from the line. Moving forward from the dining room on the Port side of the ship, we come to the Explorations Café, one of the most popular spots onboard. Here, you can grab a wide assortment of coffees and teas and watch the ocean go by. 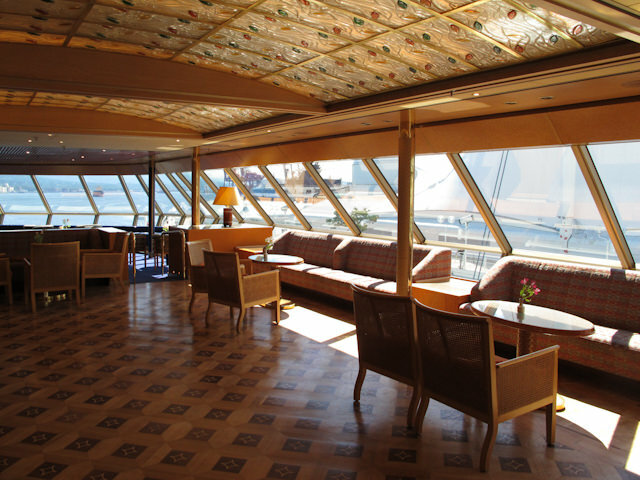 Crossing through the small corridor where the Future Cruise Consultant sits, we come to the Explorer’s Lounge. 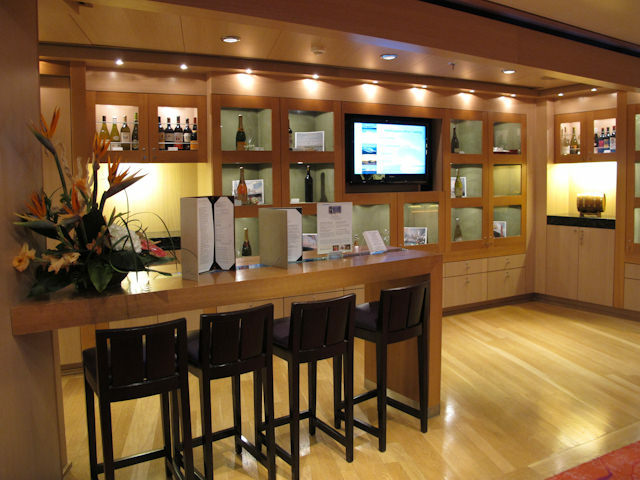 A staple among Holland America ships, the Explorer’s Lounge hosts games like trivia during the day, while becoming a popular pre-and-post dinner drink spot in the evening. 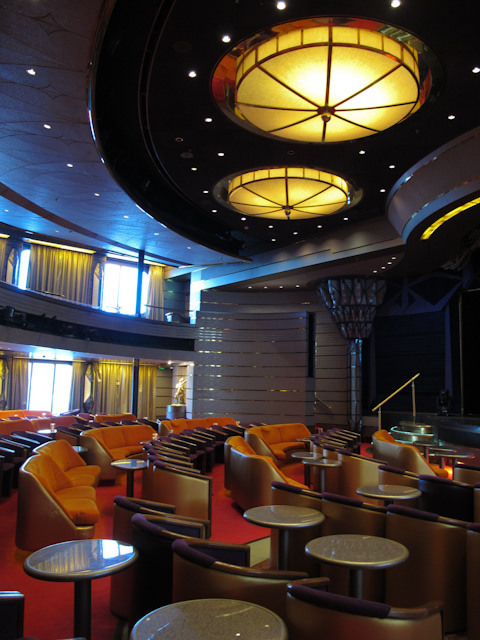 Live music is always on the menu here, and the lounge can comfortably seat 87 guests at a time. 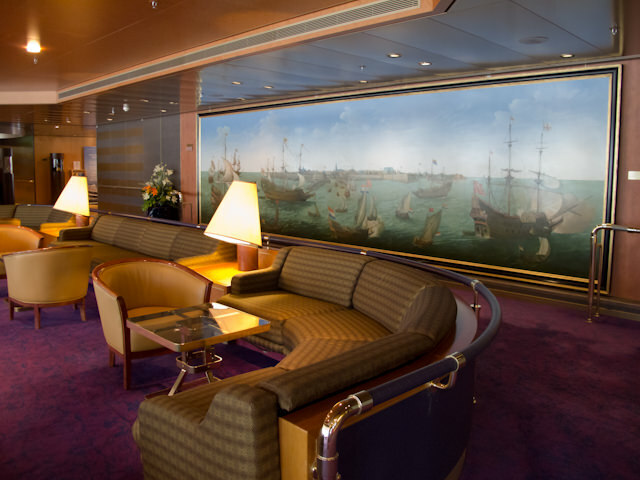 Notice the oversized painting mounted to the inboard wall; each ship in the Holland America fleet has its own unique painting in the Explorer’s Lounge. 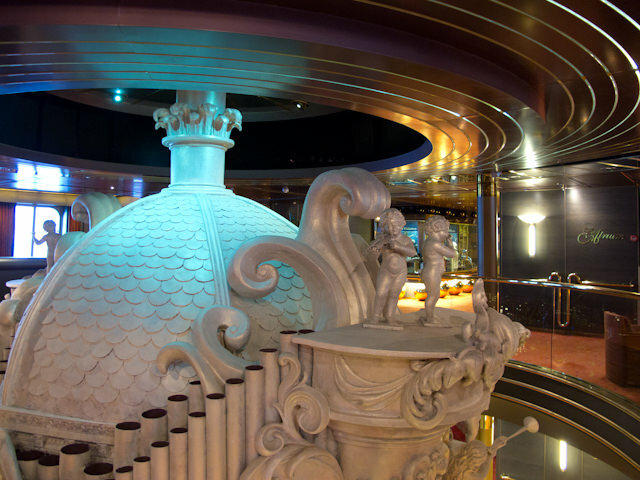 Added during the first round of Signature of Excellence enhancements a few years ago, the Merabella Luxury Shop is located in a small corridor between the Explorer’s Lounge and the Piano Bar. As you might expect, it specializes in items of a luxurious nature like diamonds and necklaces of all types. 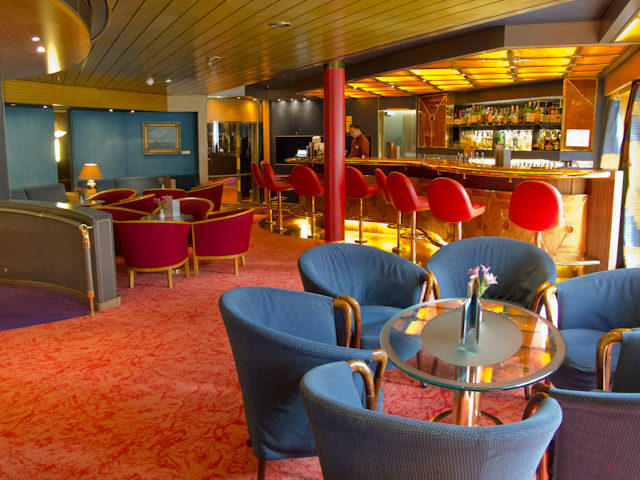 Occupying the space formerly taken up by the Piano Bar and the Seaview Lounge, The Mix is a new lounge area offering up martinis and cocktails in a modern setting that is decidedly different from the ship’s more traditional decor. 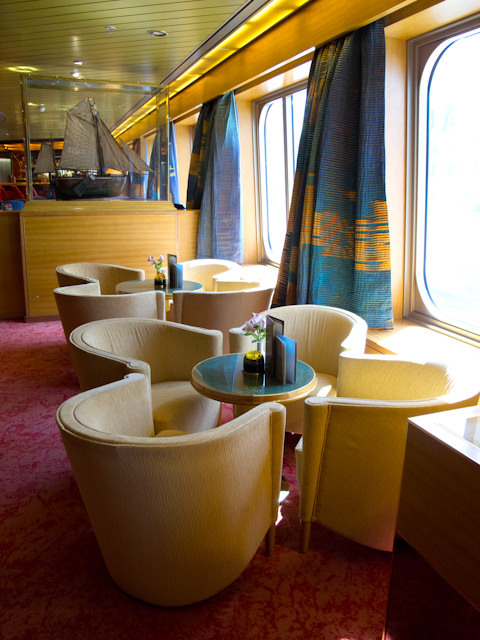 This area is similar to that found aboard other ships of this class, with backlit panes of etched glass and vibrant fabrics that lend the room a cool clubby feel. While the room has two separate areas, it really functions as a single public room dominated by the soothing sounds of the resident pianist and the cool drinks poured by the nearby bar. Large windows on the adjacent promenade let in plenty of light and make this another great place to spend an evening as the sun goes down. 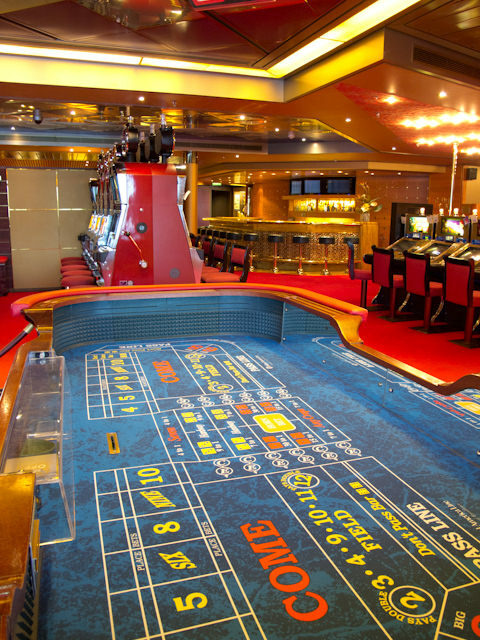 A few steps farther along the corridor brings us to the Casino & Casino Bar. 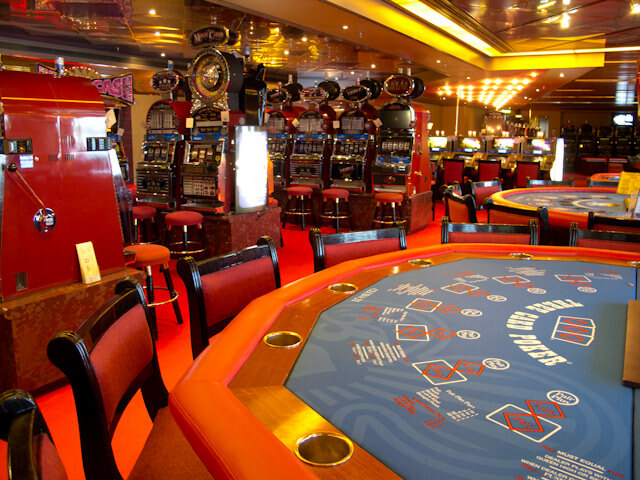 The Casino aboard Zaandam is small compared with some of the most recent ships, but there’s really no need for it to be any larger: The ship holds just 1,432 guests. 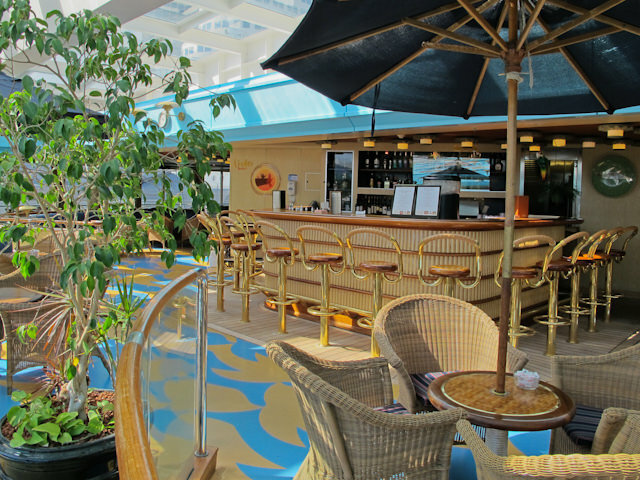 Like the Explorer’s Lounge, the Ocean Bar is another staple among Holland America ships: Every ship has had one for as long as most cruisers can remember. 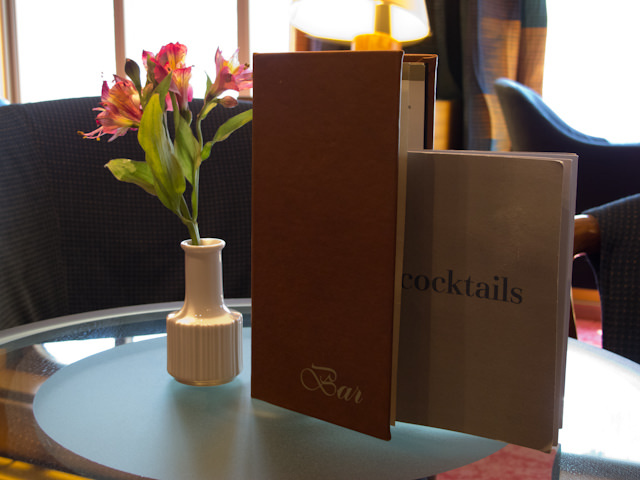 Situated adjacent to the atrium and the top of that gorgeous organ sculpture, the Ocean Bar’s floor-to-ceiling windows make it a great place to relax with a book or a drink, particularly in Alaska when sailing the Inside Passage or cruising near Glacier Bay. 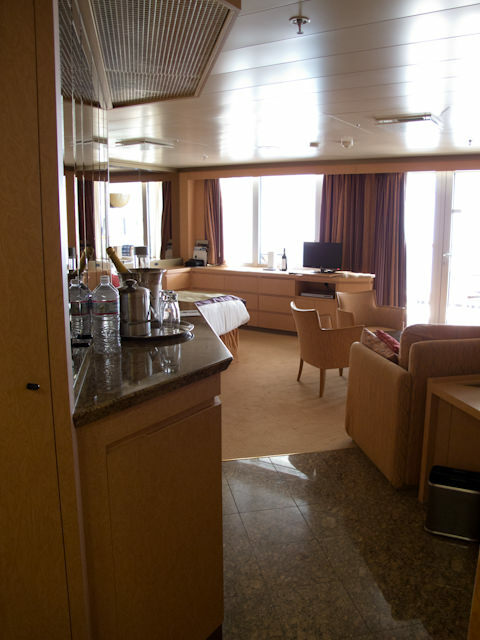 While Zaandam was fully booked during our tour, we did manage to catch a glimpse of one of the ship’s Neptune Suites. Formerly known as “S-Suites,” these staterooms are 558 square feet to 566 square feet in size, and boast a full sitting area, dining area and sleeping area, in addition to a walk-in closet and an oversize bathroom with whirlpool tub and shower. 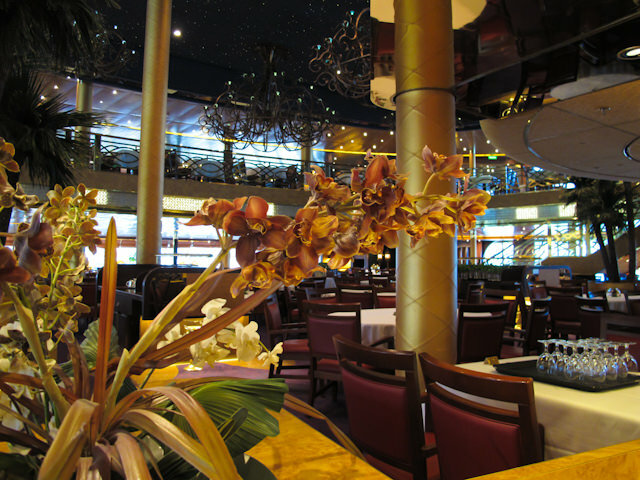 We were fortunate to sail in one aboard Veendam several years ago, and it truly is worth the price of admission. 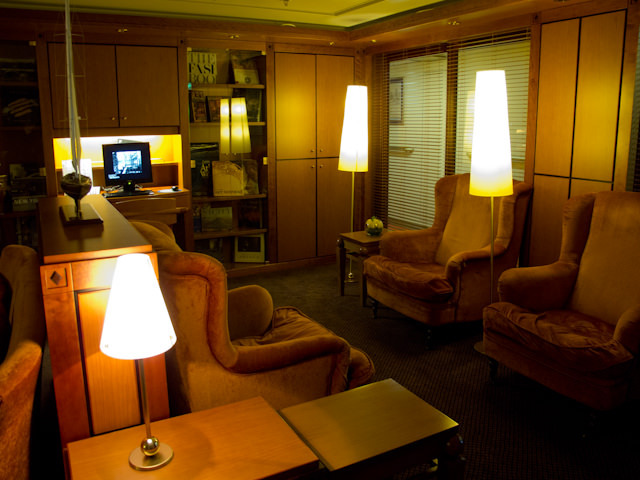 What really made our suite experience a home-run for us was the inclusion of The Neptune Lounge. Available exclusively for the use of guests in Neptune Suites or higher, the Neptune Lounge serves up chilled juices, hot coffee and tea, as well as numerous canapés throughout the day. 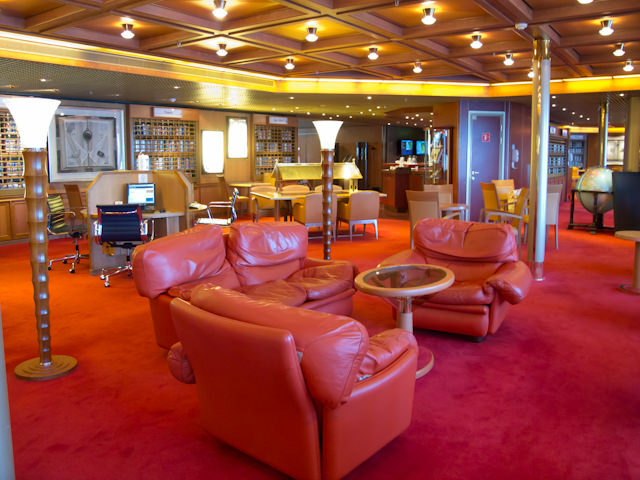 There’s a small sitting area with plush chairs and plenty of destination and nautical-themed books, and the room is always staffed with a concierge who can help you arrange shore excursions, room requests, and anything else you might need help with. A great, great resource for guests staying in the top suites. All the way forward on Deck 8 is the Greenhouse Spa & Salon, home to several treatment rooms, a gym with commanding views over the bow, and a full thermal suite with heated ceramic loungers and a small hydrotherapy pool. 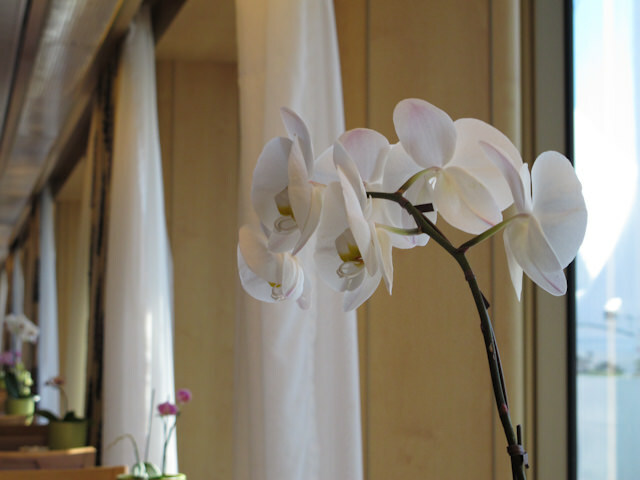 The spa was closed on our visit to Zaandam, but trust us: It’s pretty darn cool. 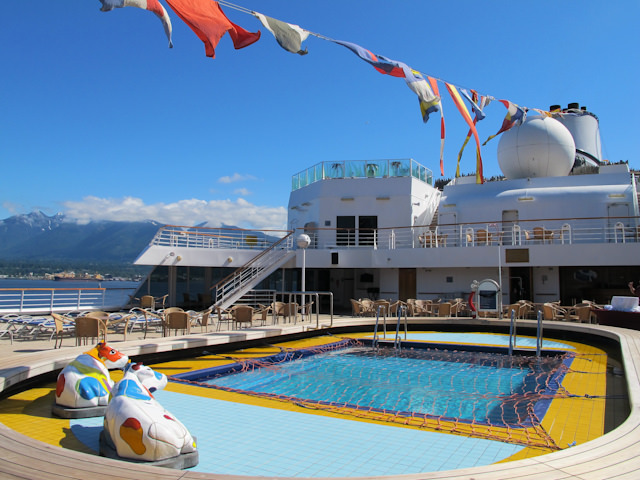 Located amidships, the Lido Pool is a popular place on sea and port days alike. Flanked by comfortable loungers, the Lido Pool can be used in any type of weather thanks to the retractable Magrodome glass canopy overhead. 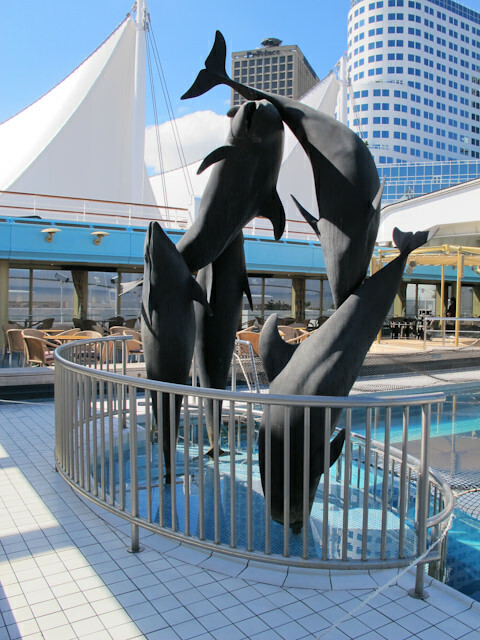 Two hot tubs are located at the forward end of the pool, and adorned with a dolphin sculpture created by artist Susanna Holt. At the aft end of the pool is the Lido Bar, with its comfortable seating and navy-blue umbrellas to block out the sun. 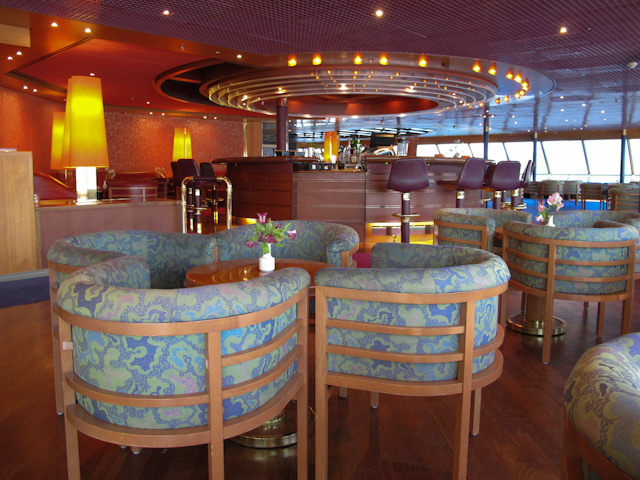 A great place to relax with a refreshing drink after a long day in port. Heading aft still, we come to the Lido Restaurant, Zaandam’s casual eatery. 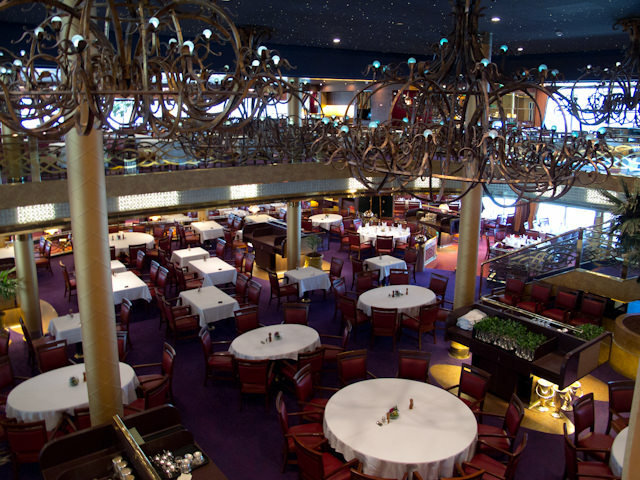 Capable of seating 386 guests, the Lido offers up casual breakfast, lunch and dinner. 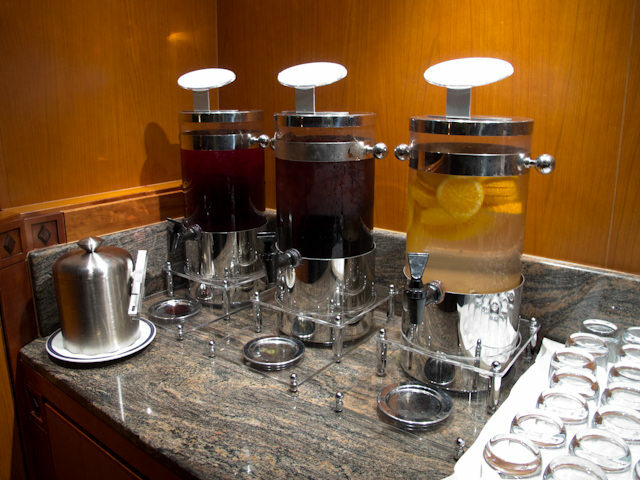 Unlike other cruise lines, Holland America doesn’t use clusters of serving stations, preferring instead to have different offerings served up in line-form. While this can take a bit of time to get used to, once you know where each section is you can avoid those you don’t want to partake in. We prefer this to the more “every man for himself” style of buffet. 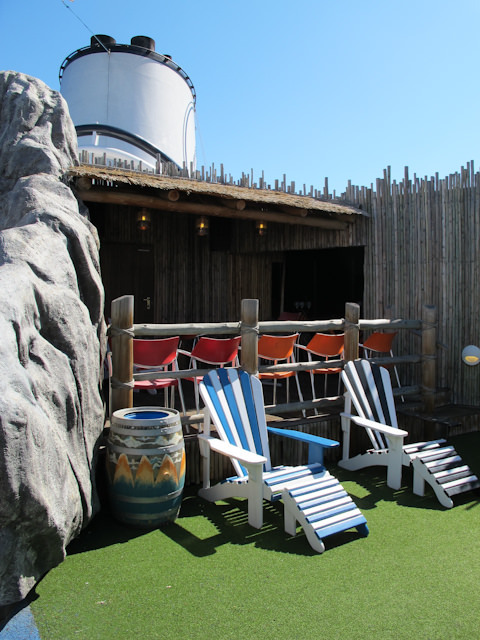 Should the weather cooperate, seating is also available outdoors by the aft swimming pool. You can use the outdoor staircases flanking either side of the aft pool to ascend to the Sports Deck. There’s plenty of seating available up here, as well as ample open deck space perfect for viewing sailaways or simply enjoying a stroll. A basketball court and tennis court are also located here, in the shadow of the ship’s funnel. 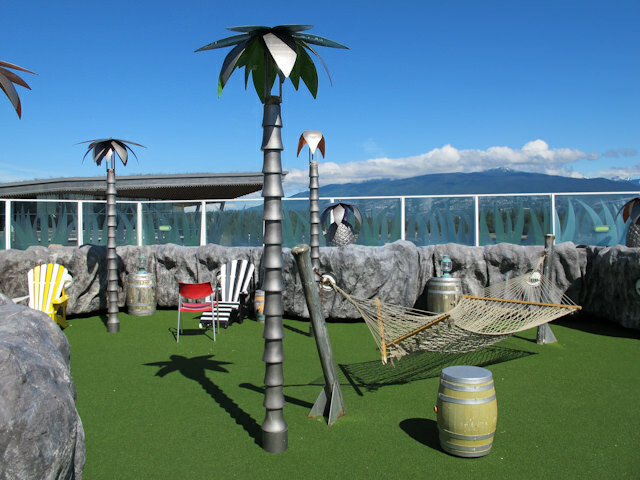 All the way forward is another popular Holland America staple, the Crow’s Nest. 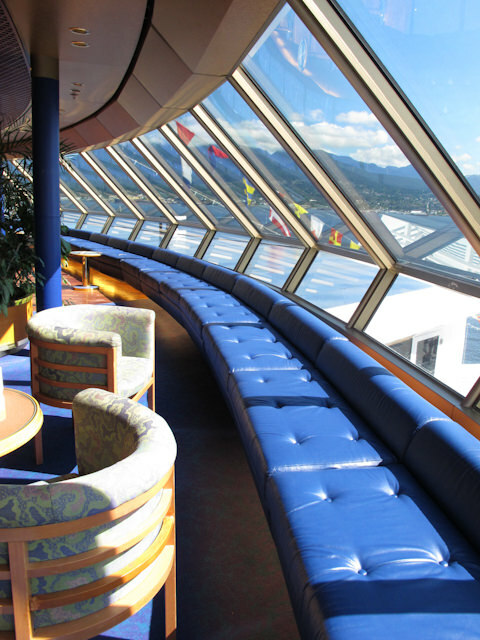 Featuring three distinct seating areas, the Crow’s Nest has enormous sloped windows that offer cruisers excellent views from the ship’s forward, starboard and port sides. Don’t let the out-of-the-way location fool you: this room is popular both day and night. Up here, kids are treated to hammocks and comfortable chairs, as well as a small waterfall and splash pool. There’s just one problem: The hammocks are so comfortable we wish they were offered for adults too. 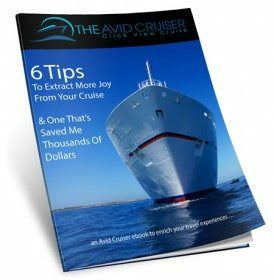 Overall, the Zaandam is a comfortable, well-appointed ship that instantly makes a pleasurable impression upon your senses. We could have easily settled into a nice weeklong voyage to Alaska aboard her, and indeed, that may be one of Holland America Line’s greatest strong points: For as comfortable and different as its ships are, each creates that welcome feeling of “home,” at least, your home away from home – at sea on the wonderful Zaandam. Just got off the Zaandam and would like to names of Moldovan violinist and Ukraine pianist so we cam follow their caREERS.